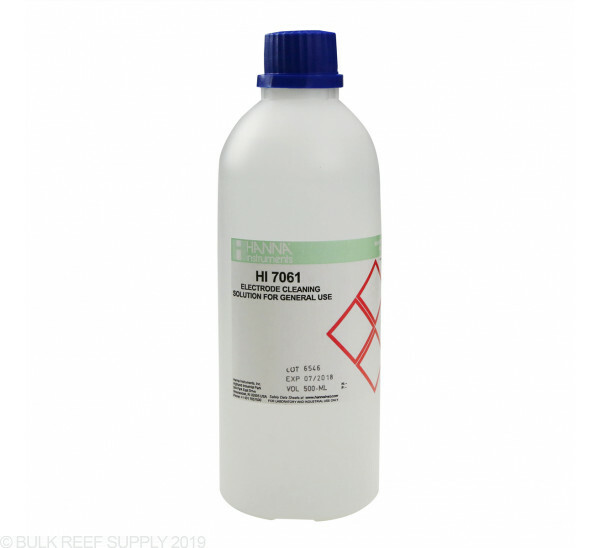 Hanna's General Purpose Cleaning Solution is great for cleaning electrodes on your Apex, ReefKeeper and BRS pH and ORP probes. Clean the liquid junction of your electrodes once a day or at least once a week to prevent clogging and to maintain accuracy. Immerse the electrode in the proper cleaning solution for about 5 minutes. Eliminate all kind of dirt or deposit from the electrode, and thus ensure correct measurements.